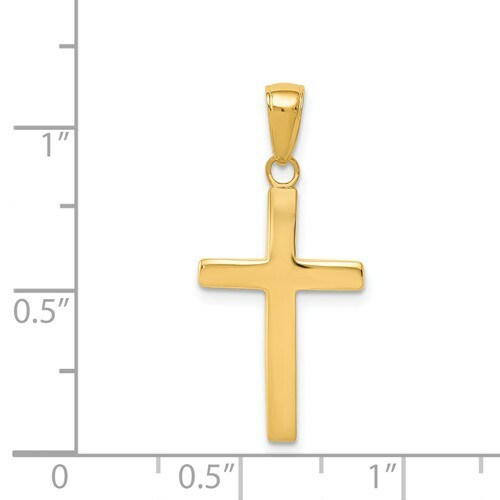 This smooth cross pendant is made of polished 14k yellow gold. Item size: 1/2 inch wide by 3/4 inches tall without loop and bail. Weight: 1.41 grams. 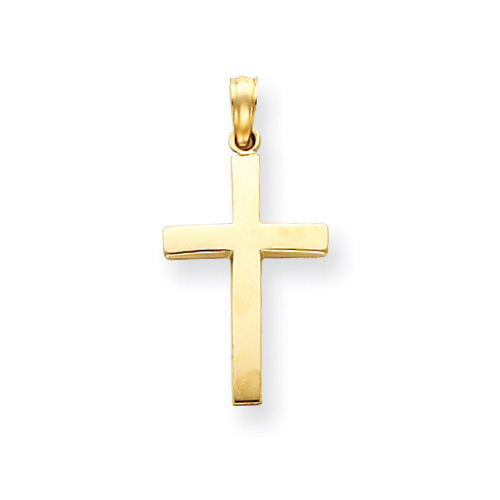 One of the oldest forms of the cross, the Latin cross is also the true form of the cross. Made in the USA.